Add the "Easy Clutch" to your classic and vintage BMW and it lessens the force required to pull the clutch lever. The effort required to operate the clutch is less than half of the stock setup! The "Easy Clutch" practically eliminates hand fatigue on long trips. It is great for individuals who suffer from physical problems that weakened their grip. Female motorcyclists, who find the clutch action of a BMW to be a challenge, will find riding much more of an enjoyment. Another benefit of "Easy Clutch" is added longevity and reliability of the clutch cable. 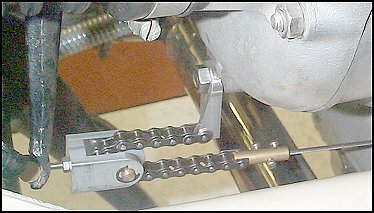 I have used an "Easy Clutch" on my BMW R90S (a model BMW known for it’s stiff clutch action) for the last 16 years (100,000 miles) and experienced no problems or failures. The worry of breaking a cable in the middle of nowhere, on a long trip, is gone forever. The "Easy Clutch" is probably the best modification you can ever put on your bike. The clutch pressure required will be cut in half and the engagement range of the lever will be doubled. Your clutch will no longer act like an off-on switch. The tension in the clutch cable also is half so should last indefinitely. The "Easy Clutch" new design fits all BMW /2. /5, /6, /7 and later air head boxer twins. I provide easy installation instructions so you can install the clutch on your bike. How to order your "Easy Clutch"